Hi, I'm Portia. I’m adopted! Portia was adopted April 2016! Portia is a beautiful, mature, and intelligent lady, who goes with the flow. 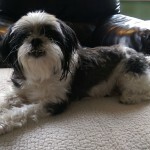 She enjoys taking naps on the couch and taking it easy and would do best in a quiet home. Though she is not super active, she is quite spunky and energetic when interacting with other dogs and humans and when taking walks. 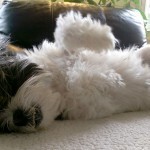 At present, she is not big into playing with toys, but she enjoys meeting and playing with other small dogs. She loves walks and is great on a leash: she does not pull and listens well. She is very social and loving with all humans, including new people, and she is very trusting. She asks for belly pets from just about everyone she meets. Portia has had a difficult life; she has been in and out of the County Shelter and recently came through the Shelter as a cruelty case. Despite the fact that she has not always been treated well by humans, she remains an extraordinarily positive and sweet dog. 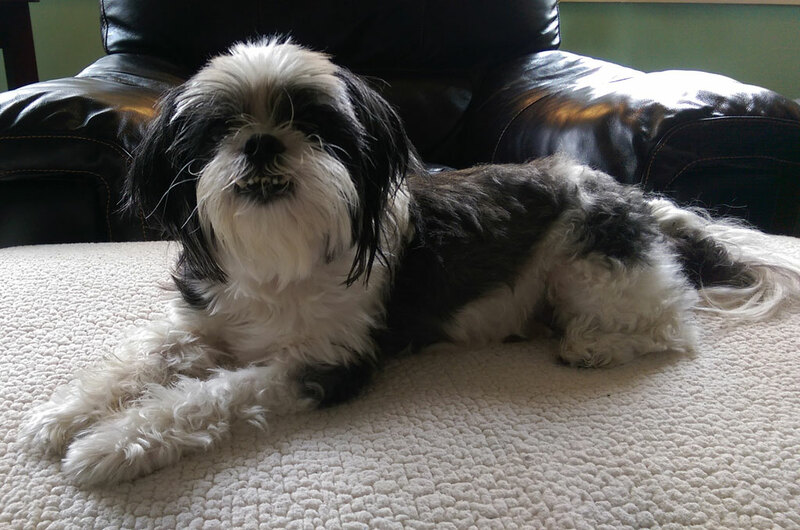 Her foster parents are looking for an adopter who will treat her like the queen she is during her golden years: lots of cuddles and love, long walks, plenty of treats, and preferably sleeping in her human’s bed at night. She loves stretching out and snoozing on her foster parents’ king-sized bed. Portia has chronic dry eyes due to low tear production and may need eye drops 3-4 times per day for the rest of her life. She is very good at receiving her eye drops, especially if she gets a treat in between. 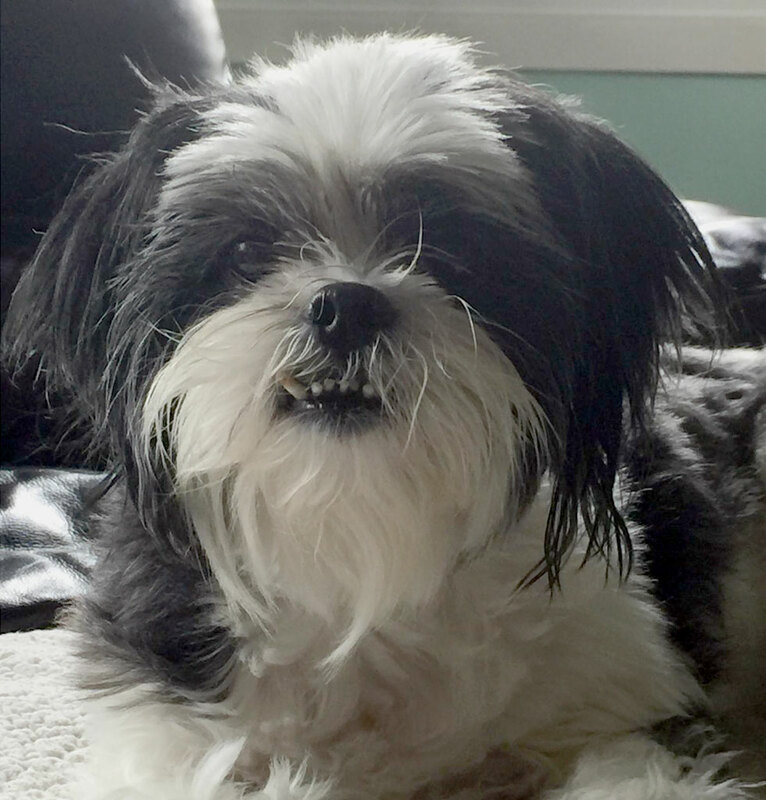 The veterinarian also discovered that Portia has had some bone loss in her teeth during a recent dental cleaning and x-ray, and she may need some follow-up dental care later in life. In general, Portia’s adopter will need to monitor her eyes and teeth to make sure she is not experiencing discomfort. Good with kids: I don’t know if I’m good with kids yet. Good with dogs: I’m good with other dogs. Good with cats: I don’t know if I’m good with cats yet. Fenced yard: I do not necessarily need a fenced yard. House trained: I am already house trained. Barks when left alone: I do not usually bark when left alone. Training: I know the basic commands: Sit. Stay. Come. Activity level: I’m pretty laid-back. Special needs: I need daily eye drops. If you are interested in Portia. I’m adopted!, consider letting us know by filling out a (no-obligation) adoption application. Please consult our Adoption FAQ before contacting us. Portia plans to be at the Bowie adoption show on March 26th, at the Bowie PetSmart, although there's always a possibility that plans will need to change at the last minute. Adoption Update! 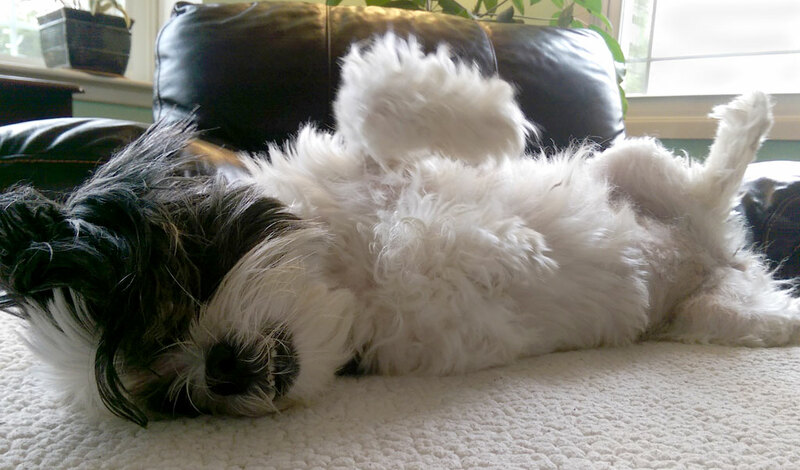 Former PGSPCA foster dog Harry found a heavenly home! His adopter writes, “Totally amazing dog, very sweet, very eager to please and learns quickly… No accidents in the house, knows..